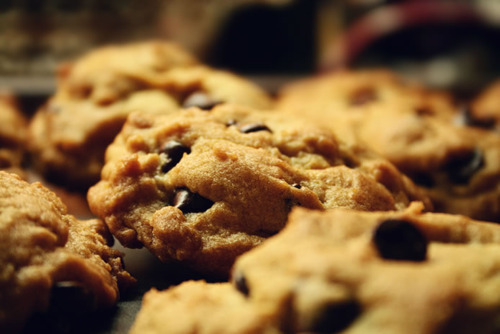 DELIGHTFUL MOM STUFF: Recipe: Healthy Cookies! I finally found a recipe that I like for "healthy" chocolate chip cookies! I say "healthy" because there is still white sugar and butter- but as far as cookies go, these are pretty good! Here is an article on Canola Oil and why it is a healthy fat to cook with, and I love the whole wheat flour substitute. I added natural peanut butter (TJoes has a great natural peanut butter, the only ingredient is peanuts- no salt, sugar, etc..) and it made them divine! *JM NOTE: I added 1/2 cup of peanut butter and it really makes them yummy! These are also great frozen- then pull a few out to bake. DO NOT over bake- if anything pull them out a little under done!